Avian King is a bicoastal (Los Angeles/New York City), qualified professional freelance session hairstylist and groomer, styling hair for hair and runway presentations, celebrity clients and appearances, advertisements, beauty, editorial, and film. An artistic team member for internationally acclaimed stylist Vivienne Mackinder for 5 years, and a traveling member of Angelo Seminara's Artistic team since 2013, Avian continues to expand her knowledge and follow her passion for continued education. Blessed with working with amazing artists, she has assisted and worked with Angelo Seminara, Edoardo Paludo, Vivienne Mackinder, Malcolm Edwards, Tomo Jidai, Garren, Anthony Turner, Thomas Dunkin, Shintaro Teraoka, and Martin Christopher Harper. 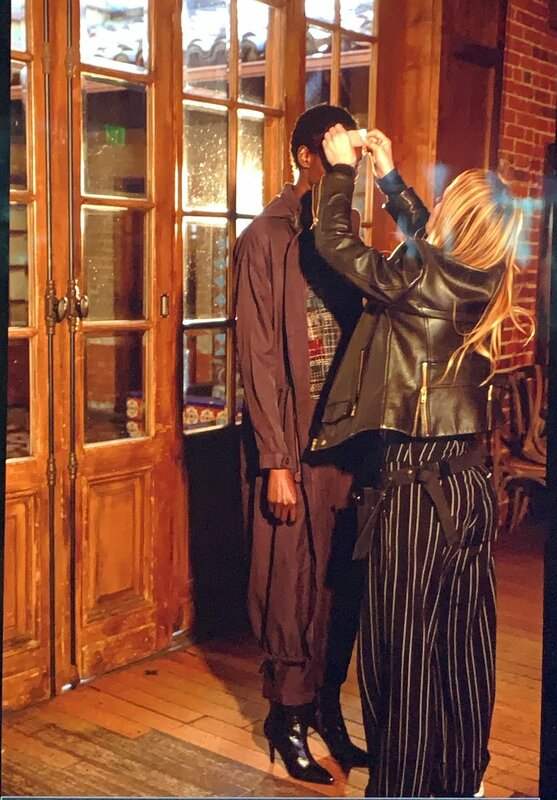 Supported by Davines haircare, Avian has had her work featured in print and online for publications such as Vogue, Marie Claire, Elle, GQ, Glamour, Seventeen, LADYGUNN, Paper Magazine, Relapse, Bambi Magazine, Cosmopolitan, Satellite Journal. 20/20, Bisous, Bella, Spirit and Flesh, MOD, Closer, and 35mm magazine, as well as for online editorial publications The Coveteur, and Refinery29. Having the privilege of working backstage at New York Fashion Week since 2009, she has styled hair for Carolina Herrera, Oscar de la Renta, Anna Sui, Stella McCartney, Mugler, G-Star Raw for Pharrell Willams, Erin Fetherston, Jenny Packham, Katie Gallagher, Houghton, Carlos Campos, Timo Weiland, Project Runway, Trina Turk, Veronica Beard, Harbison, Highland and Bibhu Mohaptra. Avian has worked with a list of clients including New Balance, Victoria Secret, Sergio Rossi, Carmen Marc Valvo, DVF, Reformation, Clinique, Bloomingdales, The88, Target, South Moon Under, Michael Kors, Mugler, Barneys, Saks, Refinery29, The Coveteur, Baldwin Denim, Urban Outfitters, Garnier, and L'Oreal Paris , as well as work producing large scale hair shows for beauty brands like Davines, and L'Oreal Professional. Her celebrity client list includes work with musical artists including Diplo, Major Lazer, Tinashe, Rad Key, Little Racer, Caveman Band, and MO, actors like Julia Stiles, Melissa Joan Hart, Lola Kirke, and Josh Charles, Broadway Star and Tony Award nominee Vicki Clarke, models Jasmine Tookes, Josephine Skriver, Taylor Hill, Behati Prinsloo, Barbara Palvin, Miranda Kerr, Candace Swanepoel, Barbara DiCreddo, Nadine Leopold, Katrina Hunter, Michi Kat, and EMBREY, film maker and playwrite power couple Alexandra Shiva and Jonathan Sherman, dance stars Sara Bivens, Taylor Hatala and Larson Thompson, and beauty moguls the Clarin and Courtin Sisters. When she's not on set, Avian takes haircut and extension clients in studios around the country, in New York, LA, and Seattle.